ADHD is not a recent phenomenon that you and I are witnessing for the first time, but instead it is something that has been often misunderstood, neglected, or taken too casually. It is of vital importance to understand that everyone can contribute towards spreading positive awareness about ADHD. 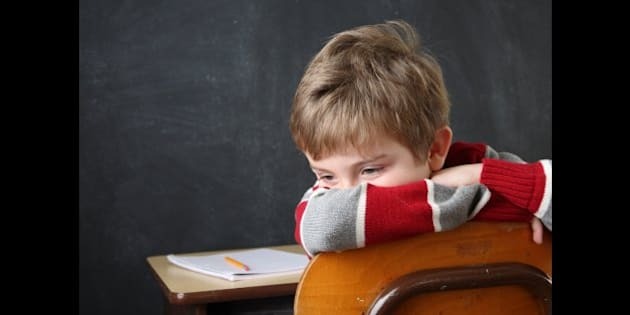 In the light of the recent incident, where a Deputy of Kentucky Sheriff handcuffed an eight-year old boy diagnosed with ADHD, let us talk about children with ADHD. The incident occurred whereby Deputy Kevin Sumner, working as a school resource officer at Latonia Elementary School in Covington, is been sued by American Civil Liberties Union (ACLU) for allegedly handcuffing an eight-year-old boy with ADHD, by his biceps at the back, because the wrists were too small, as a part of punishment given for not complying with orders. ACLU's Disability Counsel, Susan Mizner has said that using physical punishment for the purpose of disciplining students with disabilities "only serves to traumatize children." Physical punishment could also further aggravate their behavioral issues Mizner added. Sumner apparently handcuffed the eight-year-old boy, to "discipline" him and teach him to comply with teacher's or elders' orders. The video footage captures Sumner telling the little boy, already crying in pain, that he must "behave" if he wants the handcuffs gone and that he won't be set free until he stops "acting up." This incident raises an important and immediate question about an awareness regarding ADHD, which is still lacking amongst the general public and professionals. There are plenty of us who are not aware of this medical condition and might not know how to react upon meeting kids/adults with ADHD. So what exactly is ADHD if you may ask? The answer will be this -- Attention Deficit Hyperactivity Disorder a.k.a ADHD is a neurobiological disorder, which was earlier known as ADD or Attention Deficit Disorder until 1994. It has three subtypes: an inattentive type, a hyperactive-impulsive type and a combined type. All three affect attention, but with their own set of variations in symptoms. An inattentive type will show signs like having difficulty in focusing on simple tasks. The child faces difficulty in terms of paying attention to details or is more prone to making careless mistakes in mundane tasks, is unable to stay organized, or even listen to plain instructions. He/She may be forgetful about his/her belongings. Whereas, a hyperactive type will have problems with staying calm for even shorter period of time. For instance, there may have trouble staying seated in a place for more than a minute or so, and there may be excessive fidgeting or talking. The third type, a combined type, is somewhat of a combination of the previous two. It will show symptoms from both the first two categories. Therefore, the first step towards understanding someone with ADHD is to realize that they are not "acting out" when they behave differently. They genuinely have difficulty with performing simple tasks unlike most of us and hence, they need more sensitive interaction. So who can be diagnosed with ADHD? The diagnosis of ADHD often occurs in childhood and the symptoms might recede with age but the condition can last throughout life. There is no particular test for detecting ADHD in a child, thus a complete evaluation by family practitioner or a pediatrician serves best. Though sometimes, the child may also need psychological or neurological intervention, apart from medical intervention, for diagnosing any other possible disability like depression or anxiety. But don't just jump to conclusions about considering a diagnosis for your child if he/she is throwing tantrums. For your child to be considered for diagnosis, you must observe him/her and become assured that he/she shows signs or symptoms of disorder for at least six months and in at least two areas of life. Remember, the child might show anxiety signs if there is some discord in family or school; in which case it may not be ADHD. Though research does not show a clear cause for the disorder, there are certain pre-conditions which have been identified. For instance, studies highlight that if a close relative has the disorder then there is a higher risk of having ADHD. Smoking or injuries during pregnancy or premature delivery has also been linked with ADHD. So can children with ADHD lead a normal life? The answer is -- yes! You just have to ensure that the right kind of intervention necessary is provided to the child. And each child with ADHD, being a unique individual like all of us needs to be given individualized treatment. You can consult with your child's doctor and form an individualized plan for a healthy and effective treatment. In most cases, ADHD can be best treated with a combination of both medicine and behaviour therapy. It is not a disease that can be cured with just medicine and therefore medical intervention needs to provide for behavioral control too. When one talks about medical intervention, there are several types of medication that are being used for treating ADHD, like the stimulants, non-stimulants, antidepressants [LINK]. It is always advisable to seek a doctor to help you choose the right kind of medication for your child. But you must not forget that a behavioral therapy needs to be worked out with a therapist, if you want to achieve the best results for your child. Create a routine for your child and help him/her get organized by breaking the tasks into simple steps, so that your child can actually aim for finishing them. Once the child starts to finish them, everyday he/she will grow in self confidence. Try to get your child to take part in some social activities making use of role play, such that the child effectively learns about normal behavioral patterns in different situations that come up every day in one's regular social life. This way you will help him/her improve upon social skills. Avoid any sort of distraction like TV or music when your child is busy with homework as it might lead to him/her losing their concentration. Limit the choices you provide for your child so as not to overwhelm or confuse him/her. ADHD kids already face issues with decision making, so giving them multiple choices will only result in more stress. Try to be empathic and patient when your child is having mood swings. This will help him/her to calm down faster by seeing you breathe easy. Do help your child in discovering his/her talent, as it can be a great way to boost his/her confidence and self-assurance. A little bit of sensitivity has never hurt anyone.